I don’t know where this wine came from. I’m leaning toward that it must have been a sample from the Wines of Chile folks, but I can’t recall when I did a tasting with them that wasn’t Carmenere or Sauvignon Blanc. 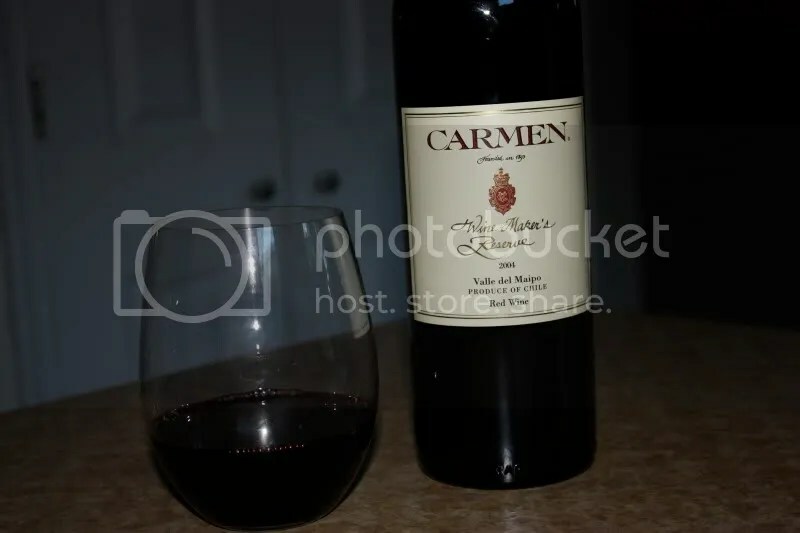 Unless this came from the Carmenere tasting, though it’s not a mainly Carmenere based wine….So I’m stumped. It was on my sample rack, so I know that much. 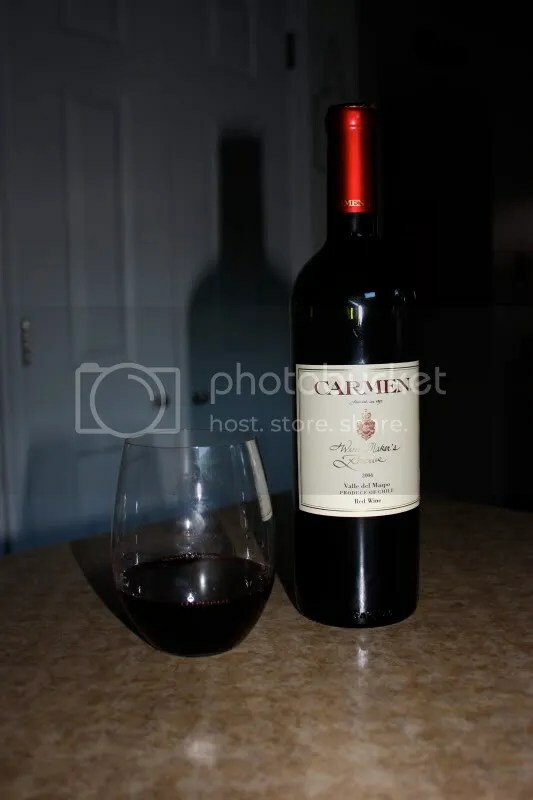 We pulled out the 2004 Carmen Wine Maker’s Reserve to go with our BBQ ribs the other night. The wine consists of 50% Cabernet Sauvignon, 20% Carmenere, 20% Petite Syrah [sic], and 10% Merlot. It clocked in at 14% alcohol by volume, had a real cork closure, and looks to retail for about $44. On the nose I found dark berries, plums, very dark, dense fruit, spice, earth, raisins, menthol, and a hint of a green note, but nothing I found off-putting. In the mouth I got cedar, raisins, black plums, and a hint of cherry. To me this was a huge, tannic, dense wine with something just a bit sharp on the finish that threw me off. Some more time in the bottle might benefit this one or some serious air time before you drink it. 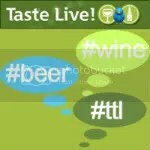 That Carmenere green can be pleasant or offensive, depending on the quantity.